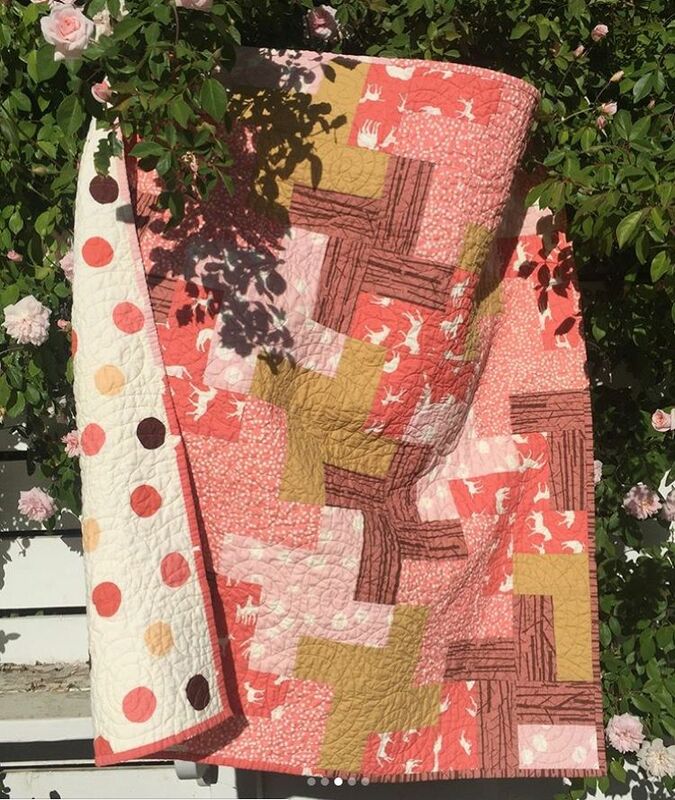 Pattern designer Dora Cary curated this crib size quilt using a selection of Birch Organic pink and coral fabrics. 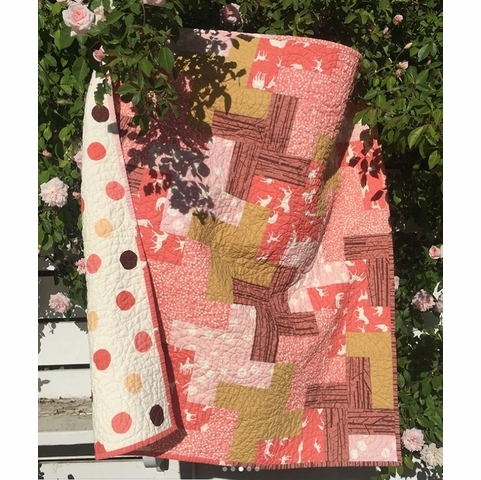 This quilt pattern is listed as easy because it pieces large cuts with minimal seams to match. A winning duo. The kit also includes a printed pattern and backing fabric for a quick finish! **Kit does not include batting. Follow this link to purchase the pattern only!